You don’t go from serving ice cream out of a Radio Flyer wagon on the streets of San Francisco to running a California dessert empire without incredibly hard work. Boston-born, Stanford MBA graduate Robyn Sue Fisher’s Smitten Ice Cream has won legions of fans with its signature, hi-tech liquid nitrogen machine, used to freeze ice cream in 90 seconds. A startup dessert spot for a startup-obsessed city, Smitten now has eight locations spanning the Bay Area and LA (with two more on the way), and serves tens of thousands of scoops per location each month. So after long months of demanding yet rewarding work, where does its founder and CEO go to relax and unwind? While both Hawaii and Lake Tahoe are a relatively quick flight away, since 2010 Fisher has made an annual summer trip to Squam Lake in central New Hampshire, accompanied first by her husband, and now their two young children (ages 4 years and 5 months). A typical summer day can involve swimming or canoeing on the lake (also a perfect way to stargaze at night), hiking the area’s many trails, picnicking on the beach, and finishing the evening with dinner in town. Things move slower here, but that’s exactly what Fisher is looking for in a vacation spot. Both Walter’s Basin and the nearby Inn Kitchen + Bar offer several delicious lobster-based entrees. 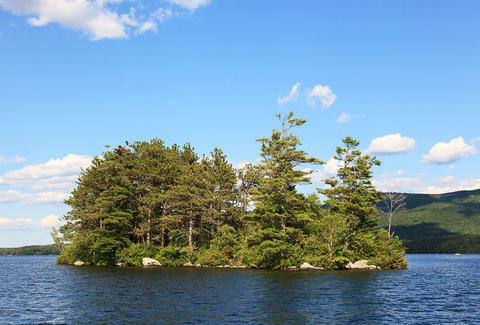 While Squam Lake is a bit inland, they get their catch fresh each day -- Holderness isn’t too far from Maine, after all. “You can’t go wrong with ordering lobster there,” Fisher says. Opened in 2005, the cozy Inn Kitchen + Bar specializes in locally-grown produce and locally-caught seafood, and offers a slightly more upscale option among the area’s laid-back dining options. 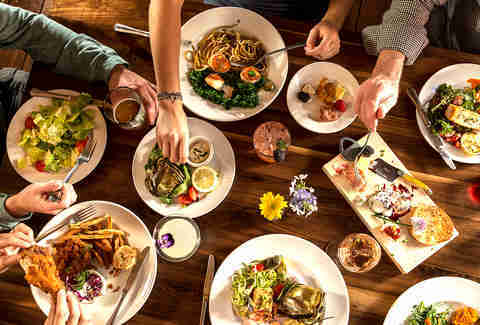 Though make sure to plan ahead and make a reservation -- the restaurant, which is attached to a bed & breakfast, is only open for three hours a day, five days a week. And of course, they make time for ice cream. Fisher and her family routinely head to the quaint Squam Lakeside Farm, a “friendly and inviting” shop which is the only place in town to find a solid scoop -- even if it’s not made using the fancy machine she’s used to. Indeed, the New Hampshire lakes region is a seasonal destination; in winter Squam Lake and the town essentially close up shop, save for those who pass through for its annual Winterfest and proximity to ski resorts like Loon Mountain and Waterville Valley Resort. But it’s that peace and quiet that bring Fisher and her family back from San Francisco each summer. 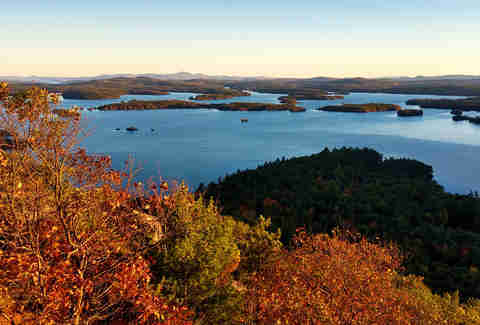 Whether relaxing means hiking, swimming, or simply curling up with a good book, Squam Lake and Holderness offer a calm and serene place to get away from it all.